Try vinyl cove base molding instead of expensive and time consuming wood trim. Use Johnsonite vinyl wall base to hide minor imperfections at the base of the wall. You have two cove base molding profile choices. Johnsonite vinyl wall base with a toe will allow the gap needed with floating floors to be covered. You can also use the cove base molding with a toe to hide any minor flaws where your floor meets the wall. Install Johnsonite vinyl wall base without a toe in carpeted areas. Cove base molding is a great way to dress up any plain looking room at work or at home. The 4" height of this Johnsonite vinyl wall base will offer protection to the base of your walls. 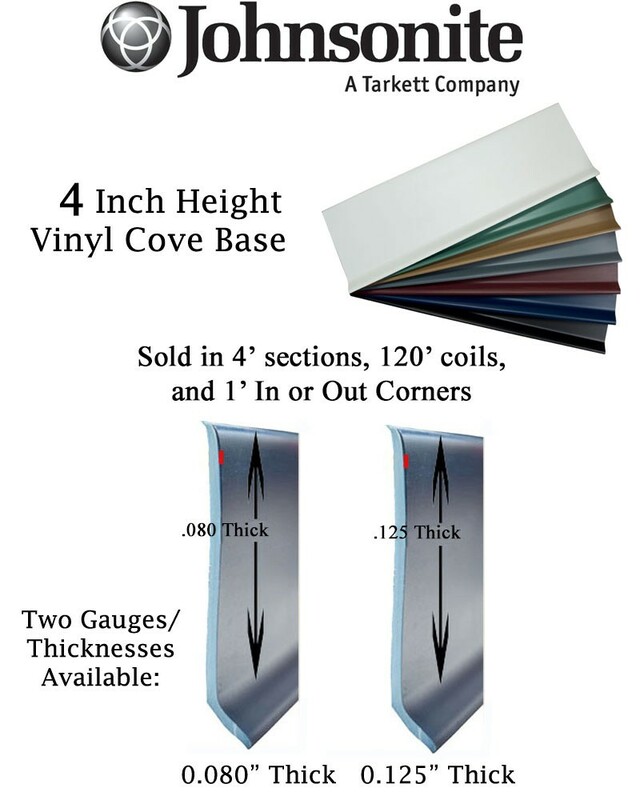 .125" thickness will provide cove base molding with the durability needed in high traffic or commercial settings. The Johnsonite vinyl wall base 120' coils make it possible for a nearly seamless finished look. Cove base molding coils have incredibly low flat rate shipping, this is a steal of a deal. 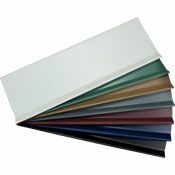 Find Johnsonite vinyl wall base in 36 vibrant colors. Before beginning cove base molding installation, you will want to ensure the wall is clean and free of any imperfection that would affect the adhesives performance. You should adhere the Johnsonite vinyl wall base to the wall using cove base adhesive. Take a few moments to watch the Johnsonite vinyl wall base installation video for help with the installation process. Lead time is determined by stock. It typically takes 1-3 weeks. Call 866-258-1554 to check stock and shipping times. Prices are determined by color. Please select desired color to see updated cost. 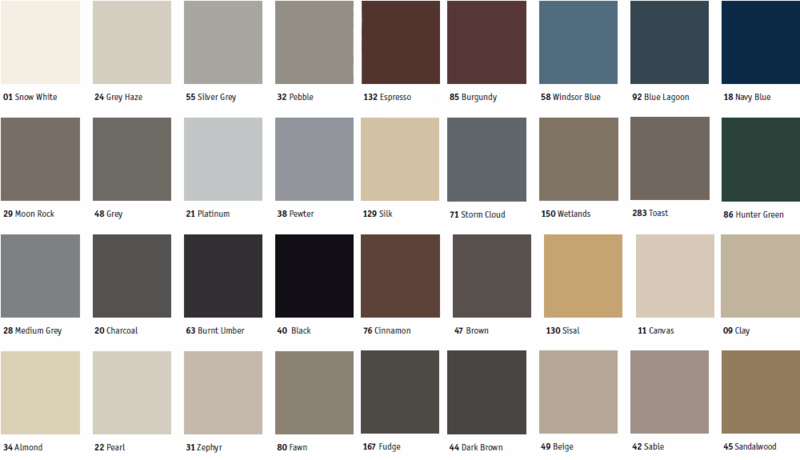 Please request color samples for accurate color representation. Coils are special order and cannot be returned or canceled once an order has been placed. Place your order for Johnsonite vinyl wall base today and finish any room in style.